Herculeze | Cheap Local Delivery of Furniture and More! If you have bought anything on OfferUp, LetGo, or any other resale app, you may have run into a problem. Users of these apps often have no way of getting their big purchases delivered home safely. You might not have a vehicle that is big enough to carry the item, or may lack the ability to carry the items. 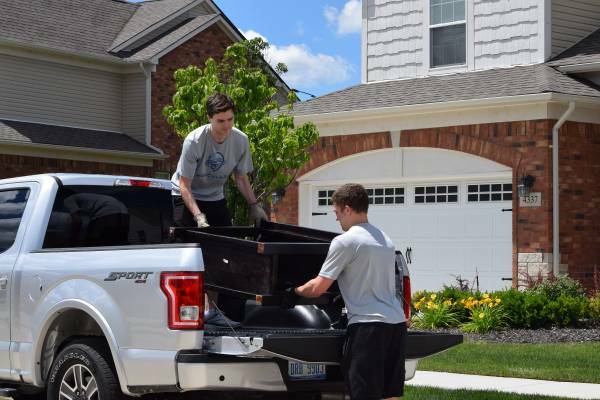 When you buy a couch, entertainment center, or any other large item on one of these platforms, you may find yourself needing help getting these items home. Herculeze can solve both of these problems. By using Herculeze, you can have your large and heavy items delivered, whenever and wherever you want them. No more having to spend all day finding a truck to rent. No more breaking your back from carrying the items on your own. With Herculeze, you are sure to find a reliable, affordable, and easy way of getting any item you buy delivered home, whether it be a couch, entertainment center, TV, desk, or even more. The alternatives to Herculeze are few and unreliable. Traditional movers charge too high of a price. The other options are to inconvenience your friends or yourself. So save yourself from the hassle of moving heavy and big stuff. Use Herculeze today, which makes delivering and moving large and heavy items simple, fast, and affordable.